With news that Moonee Valley's redevelopment is inching forward, it's time for a dedicated Moonee Ponds thread. And the westward march of Melbourne's centre continues. Summary: 10 year project. ~2000 apartments (4000 'residents'). Track reconfiguration (grandstand shifting to align with Wilson St (the northern side), all existing pony facilities where they stand will be redeveloped. After the Cox Plate in 2020, the major reconfig of the track will kick off and the Cox Plate won't return to the track until 2022. Moonee Ponds: ~2500 dwellings. That's current, before you factor in another ~2000 with Moonee Valley's redevelopment. Hey Mark, do you have any information on how tall the proposed apartment buildings will be east of the grounds illustrated in the photo above? Bringing you the information on Sydney based developments. A proposed Moonee Ponds apartment tower rising 34 levels – a height which would have made it Melbourne's tallest suburban skyscraper three years ago – is set to be decided by the Victorian Civil and Administrative Tribunal, after being rejected by the local council. As part of its second and final stage affecting the former Readings Cinema and Moonee Ponds Market site, local developer Caydon has also applied to build an 18-level building. In total, the request seeks to add 691 flats and 102 serviced apartments to the 1.34-hectare block. Earlier this year and following a VCAT hearing, Caydon won approval to develop the first stage of a $700 million redevelopment, which included four towers (the highest at 23 levels) containing 612 dwellings. A STATE Government move to better control suburban building heights could see a planned 34-storey tower in Moonee Ponds scaled back. The Moonee Ponds activity centre zone will be used as a pilot exploring mandatory building heights. It’s part of a wider review on planning rules for suburban activity centres and will consider Caydon Property Group’s plans for almost 700 apartments — up to 34-­storeys high — at the former Moonee Ponds Market. The zone’s current preferred maximum building height is 16 storeys. Planning Minister Richard Wynne said discretionary heights hadn’t worked, with people “tired of seeing proposals which reach far beyond controls”. Save Moonee Ponds president Jenny Nola said it was a sensible move that would save the council and community “ridiculous” trips to VCAT. The pilot will also look at floor ratios and building setbacks, and will trial a concept that would see ­councils leverage benefits from development as a ­­trade-off for proposals that exceed height limits. Moonee Valley mayor ­Andrea Surace welcomed the move and said too often applications refused by the council for exceeding height limits were approved on appeal by VCAT. She said it also made sense that developers contributed in other ways where proposed heights topped limits. Caydon chief operating ­officer Jarrod Stratton said they were disappointed their application — which forms part two of the Hall St project — was called in by the minister, but would keep working with the council and the department to ensure the outcome complemented stage one. Can somebody tell me why the development of this tower would have such a terrible impact upon Moonee Ponds that the minister is considering introducing mandatory height controls across all activity centres in Melbourne??? This development received 6 objections out of a populaton of 119,583 people that live in Moonee Valley. Simple. The local MP complained to Wynne (as was reported in the print edition of the Hun) and they acted in the interests of political expediency. Bastardising a quote from Trump: it's a yuge hole in the ground. The last one this size would have been QV, no? A 30-storey Moonee Ponds apartment tower has been approved by Planning Minister Richard Wynne, despite the local Labor MP for the area saying it will be too high. Moonee Valley Council wanted Mr Wynne to approve a building only half that height. But developer Caydon – which is also behind a plan to partially demolish the Nylex silos in Richmond to build almost 1000 apartments – has welcomed the decision. On Thursday, Mr Wynne said the approval followed the advice of an expert planning panel that he had appointed. Two planning experts advised Mr Wynne that the application "would seem at face value to be a serious overdevelopment" but said approval should be given. Preferred height limits for the site were for 16 levels. The tower will have almost 700 apartments. The site is behind Moonee Ponds shopping strip and close to the local railway station. Mr Wynne said there were only discretionary planning rules for what could be built on the Moonee Ponds site, not mandatory conditions, and that this needed to be changed. "The community is tired of a mockery being made of discretionary limits," Mr Wynne said. "We will take the steps necessary to do away with flimsy controls that give developers licence to build beyond what the community expects." But Greens MP Greg Barber said Labor and Mr Wynne were trying to avoid responsibility for what is likely to be an unpopular decision locally, while giving developers everything they wanted. "Someone needs to point out to this bloke that the reason that a big white limo picks him up and drives him to work every day is that he is the minister for planning. He has the power to determine the controls for any piece of land at the stroke of a pen." Opposition planning spokesman David Davis said the government could have approved a lower tower on the site but was "determined to force high-rise development throughout our suburbs". Mr Davis said Mr Wynne had recently approved a height limit of 10 levels on a large former industrial site in North Fitzroy, in the minister's marginal seat of Richmond. "He intervenes when it suits him politically in his own electorate," he said. 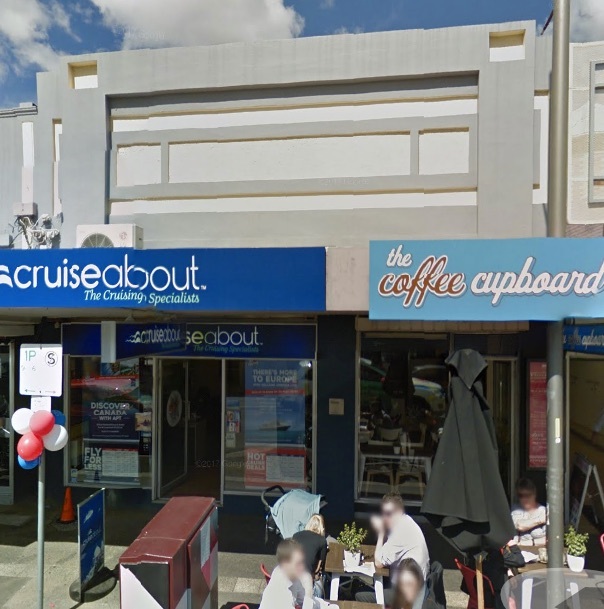 The site where Caydon will build the tower is in Hall Street, Moonee Ponds. Caydon is already building stage one of the project, a 23-storey tower on the large block, known as the Moonee Ponds market site. The Labor MP for Essendon, which covers Moonee Ponds, is Danny Pearson. He said the proposed tower that Mr Wynne had approved would not please locals. "I don't think the community expectation is that 30 storeys is right for that site. I would imagine people aren't going to be happy about it – I'm not happy about it," Mr Pearson said. Moonee Valley Mayor Andrea Surace​ said the council was "extremely disappointed" with the decision and "represents a gross overdevelopment of the site". Caydon chief operations officer Jarrod Stratton said, with stage one already under way, "we can move forward with the project in its entirety". Attack quote from David Davis and opposition to housing supply from Greg Barber, and the sun will rise tomorrow. So he approved a taller version despite complaining about the seemingly vague height guidelines? Seems like the developer was willing to go to vcat over it and he just caved. Can anyone confirm if the article got the floor count wrong or has it indeed dropped 4 levels? Original design was 34L and 112m, now at 99m and 30L. Davis is a halfwit, but in this instance he is right - it's not a good look by Wynne to be placing interim controls in Fitzroy North but not elsewhere. Wynne will struggle to hold on to Richmond in 2018. With the site @ ~45m above sea level, the upper reaches of the tower are likely to have some of the best views in Melbourne - especially in the afternoon with the Sun behind you when you're looking toward the city and across the northern suburbs. Nice to see they're keeping those deco-y storefronts too. I wonder whether those central panels were originally windows though. I am more than happy to be proven wrong, but I don't think those two, so-called c.1930s facades are original. They look like 1980s works, together with the large central "fly screen" facade and flag pole. What is fascinating, is the fact there is a home within this property that is clearly visible from above, that is probably beyond salvation and will go with this development. I only assume they're original because they're keeping them. They're within the Puckle street precinct overlay, which doesn't identify many specific sites. They do look to me like if they're original they've been re-clad at some point. I'll have a closer look when I'm over there next. Superannuation fund-backed ISPT has emerged as the third group short-listed to rejuvenate Melbourne’s Moonee Valley racetrack into a mix-use development including 2000 apartments. Last month the Moonee Valley Racing Club trimmed the field of nine interested developers to three with The Australian reporting that Mirvac and Grocon were understood to be other groups vying for the 40ha site 6km north west of Melbourne’s CBD. Moonee Racing Club chief executive Michael Browell said it was important for the club to ­select the right partner, given the development was likely to take 10 or more years. “There’s many factors going into which partner we select — we want to make sure we select a partner that shares the vision for the Moonee Valley site,” Mr Browell told The Australian. Submissions for the project from the three short-listed parties were finalised last Friday. The winner is expected to be announced by the end of next month, with the racing club likely to spend about eight weeks evaluating the details of the proposals. The aggressive ISPT, which declined to comment, is also understood to be pursuing a half stake in National Australia Bank’s new $800 Melbourne ­office building being developed by Brookfield. On Moonee Valley, it is not until after the winner has been named that the club will engage with Moonee Valley City Council over the development. At Moonee Valley, it is understood the club is unlikely to undertake any redevelopment until after the 100th anniversary of the Cox Plate in 2020. The land was rezoned to allow for higher-density residential development, a retail and commercial precinct, with approvals received for apartment buildings with a preferred maximum height of 20 storeys.